How to use the Bing / Yahoo webmaster tool. With every post I start with a thank you to those who are visiting and to those who follow along, I really appreciate the time you take to read through what I have to say. If there is something you want to add to my posts, feel free to add them in a comment below. The Three Giant Search Engines. I have concentrated most of my efforts on Google webmaster tools because google is the giant of the internet search engine realm, but by forgetting the other search engines you would be losing out on other potential customers. Behind Google, you have yahoo and Bing. To make use of these search engines for your website, you will need to submit a sitemap for them so they can crawl your site. Check out my #1 recommendation for Online Marketing. A site map (or sitemap) is a list of pages of a web site accessible to crawlers or users. It can be either a document in any form used as a planning tool for Web design, or a Web page that lists the pages on a website, typically organized in hierarchical fashion. A sitemap is basically a map of your website, you can find the URL of your sitemap in your WordPress under settings-XML-Sitemap. In 2009 , Microsoft’s Search Engine Bing tried to buy off Yahoo at no avail, so finally in 2015 they decided to cut a deal in the form of a partnership. Yahoo webmaster tool has been transfered to Bing’s Webmaster Tools. For more information about this deal go visit this site. I’ve combined Bing and Yahoo because if you want to submit your sitemap to them, you go through Bing. To submit a sitemap to Bing/Yahoo, you go click on this site. If you don’t have an account, you will need to sign up for one. Once in, at the top there will be My Sites and under that is Add a Site. Put in the URL of your sitemap in and click add. <meta name=”msvalidate.01″ content=”9695831106AC051DA2F35F76FF076D13″ /> The code that you want are inbetween the” “. Take that code, go into your All in One SEO under general settings and search for Bing webmaster center. Enter your code and click save. Go back to Bing and click verify, it will take some time for them to search your site so be patient. For a review of how to use these tools, check out this site. Thank you so much for visiting my site, if you don’t have an affiliate website, check out my review on Wealthy affiliates, a community that pays it forward and believes in the ones they serve. Thanks for visiting, check out my social sites Google+, twitter, and facebook. If you have a comment or questions, feel free to leave them below. I make sure to answer everyone within 24 hours. Your page got my attention quickly. I really haven’t thought about Yahoo/Bing Webmaster tool. Within the first two paragraphs you convinced me that I really should consider your suggestions. Wow somewhere along the way, I heard that Google was the only browser I need to connect with. Also Google gets the most hits. After reading your information I am convinced that you are correct. We may be missing other customers. Thank you so much for this information I will connect my site map with Yahoo and Bing right away. I just didn’t think I needed them.By the way I did not know about the Union of Yahoo and Bing either. 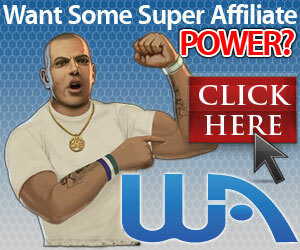 Thank you once again for the information and I know that Wealthy Affiliate is a superb Marketing group.